Well, I finally made it. Day 5 of Superman Week. I think I may take a small break next week to recover. That’s enough looking back, let’s move forward with Day 5. I’m going to keep this review simple because you really need to go into this knowing as little as possible. But know this, for me, this is the perfect followup to Superman I and Superman II. Brandon Routh IS Superman. Kevin Spacey IS Lex Luthor. The story is phenomenal, the effects are gorgeous, the dialogue is crisp. I loved every minute of it. Bryan Singer has taken great pains to make this movie “fit” into the universe started by Richard Donner back in 1978. The Fortress of Solitude, the opening credits, Superman’s ship crashing on Earth. All of it has the appearance it did back in Donner’s footage of Superman and Superman II. Even Marlon Brando returns as Superman’s Father. It all just fits together so well. As for performances. Brandon Routh is wonderful as Superman. He plays the separate roles of Superman/Clark Kent superbly. Kevin Spacey is particularly menacing with a tinge of insanity as Lex Luthor. I even enjoyed Lois’ boyfriend and little kid. As far as Kate Bosworth, I’m still not COMPLETELY sold on her, but I thought she did a good job as Lois. This is not necessarily a minus for me, as in the original Superman, I didn’t like Margot Kidder, but I thought she did an okay job. So that’s just one more thing to help it “feel” like the orignal movies. So, I’m not going to say anymore. The special effects were awesome, the acting was great and the story was phenomenal. Go see it. You will NOT be disappointed. 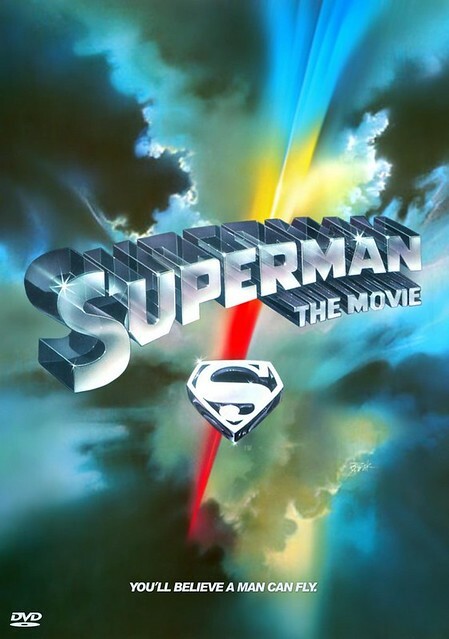 Bryan Singer used all the main Superman themes from John William’s score of the original movie. It was great to hear it. 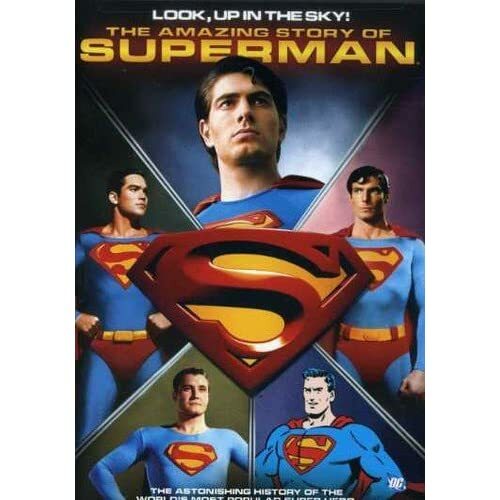 It made me dig out my old CD of Superman – The Movie . The one that was released by Rhino in 2000. It is all released and unreleased musical cues from the original Superman: The Movie. It’s awesome to listen to as I enjoy listening to instrumental movie scores when I work on the computer (Back to the Future, Star Wars, Superman, etc.) I might even get the Superman Returns soundtrack . I actually bought the Superman Returns movie novelization by Marv Wolfman a month or so ago when it was released. I’ve been sitting on it until I saw the movie. You can bet your sweet bippy I’ll be reading this as soon as I finish the 2 books I’m reading right now. My friend Marlene actually gave me this book. It brought back a lot of elementary school memories. Everyone remember Which Way? books? They were awesome. Just thought this was a neat little gift. Thanks, Mar. In case you were wondering here are the other books in this particular series. Well, that concludes Superman week. Hope you enjoyed it because I may take a break for a week or so. Hope everyone has a good one and I’ll see you when I update again. We are finally here. Day 3 of Superman Week. Superman Returns releases nationally today. Those of us who aren’t famous or aren’t in the “biz” can now, finally, watch the movie. I, however, won’t be able to see it until tomorrow night. So, in lieu of reviewing the movie, I’ll do quick reviews of the first four movies staring Christopher Reeve. Enjoy. Superman: The Movie – A classic. I really don’t have to review this as everyone has undoubtedly already seen it. Christopher Reeve’s dual portrayals of Superman and Clark Kent are nothing short of spectacular. The effects, while sometimes dated, still work very well. Gene Hackman’s Lex Luthor is played more for comedy than the comic version, and I really liked it. Hackman is great in whatever he does. I’m still not a fan of Margo Kidder as Lois Lane. I don’t know why, I just don’t like her. I wish they would have gone with Ann Archer or Leslie Ann Warren. But that’s just me. There is a reason this is considered the model for comic book movies. If you haven’t seen it, I ask, why? 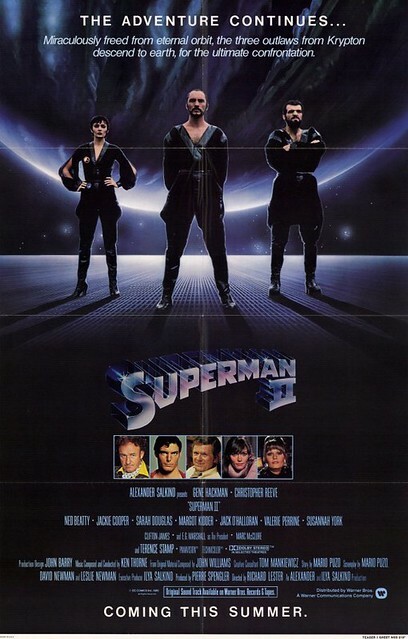 Superman II – Another classic, both in the movie itself, and the behind the scenes drama between the producers, the Salkinds, and the director, Richard Donner. Easily 70% of this movie was filmed during the production of the first movie. When budgets were tight, they stopped shooting this picture and finished the first one. After the first one was a hit, the producers decided to return to this. Due to failing relationships between the director and the producers, they picked Richard Lester to finish shooting. All of the main scenes were shot including all of Gene Hackman’s stuff. He refused to work with anyone but Richard Donner. Lester finished the picture and it finally released. It turned out to be a very good, if flawed, movie. The three main villains from the Phantom Zone were a great idea and the final showdown at the Fortress of Solitude was exciting, if a little confusing as it featured powers Superman had never shown before….he can disappear?. Also having the plot device of Superman losing his powers was a really nice touch (at least I thought so). But why did Supes have to sleep with Lois? Kinda creepy. All in all, a very good followup. For a breakdown of the different footage shot by each director go to Superman Cinema’s Superman II Section. Note: The new Superman movie will ignore all the movies after this point. 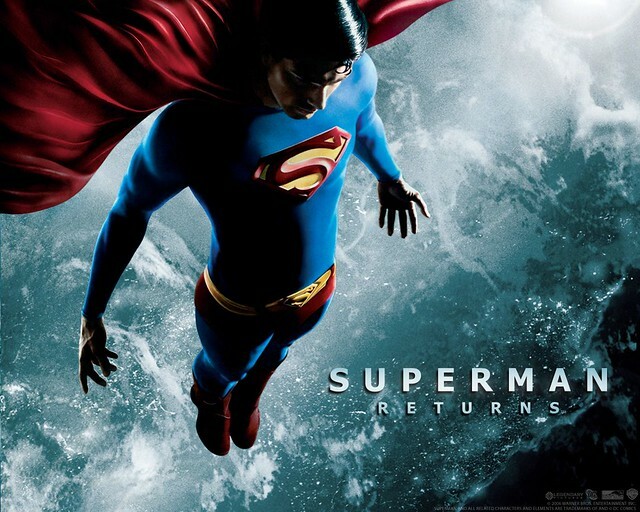 Superman Returns takes place roughly 5 years after Superman II. After watching parts III and IV, you’ll see why. 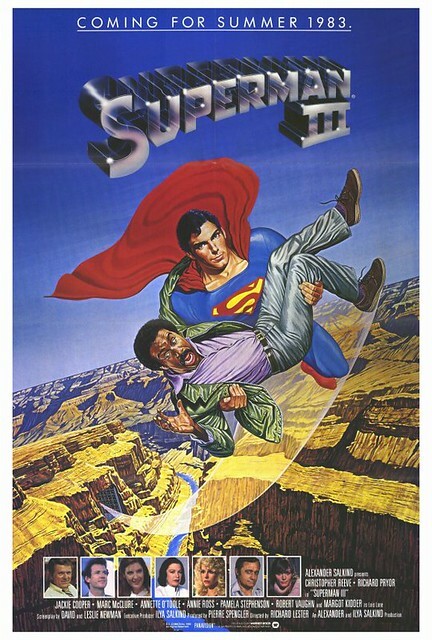 Superman III – Here’s where things get a little dicey. Despite it’s glaring problems, I enjoyed this movie. Richard Lester continues as director and the cast adds Richard Pryor as a bumbling computer programmer. I did not like Pryor’s character, but I loved the subplots of Superman exposed to “dirty” Kryptonite and turning evil and Clark’s journey back to Smallville where he reunites with Annette O’Toole as Lana Lang. Those two subplots made the movie for me. The fight at the end with the supercomputer was silly and Robert Vaughn as the main baddie made me cringe. This is a toss up whether you will like this movie. 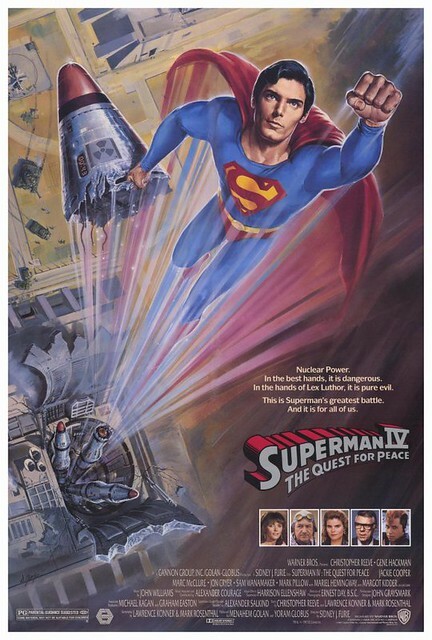 Superman IV: The Quest for Peace – The first Superman movie with a subtitle. Where do I begin? I don’t even think the word HORRIBLE begins to describe the absolute atrocity of this movie. 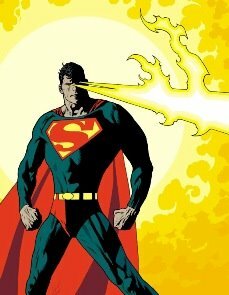 Superman decides to rid the Earth of nuclear weapons and throw all of them in the sun. Luthor plants DNA on one of the rockets and uses the sun’s radiation to create Nuclear Man, one of the stupidest, most ridiculously dressed villains of all time. I wish Reeve had stuck with his initial idea of retiring the role of Superman to someone else. Even though Gene Hackman returns for this final sequel, I can’t in good conscious recommend this to anyone. Seriously. You’ve been warned. 2. Here’s a short sketch from a show called Robot Chicken. It’s a parody of Real World where 5 super-heroes are picked to live in an apartment together. It’s called Real World: Metropolis. 3. Here is a trailer for a Superman/Batman team-up movie called World’s Finest. It’s fan-made, but very well done. 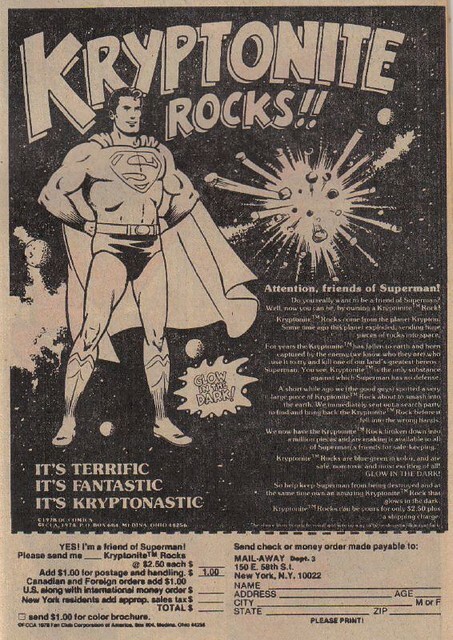 Well, it’s Day 2 of Superman Week here at the blog. I’ve got some good stuff today celebrating Superman so let’s take a look. Superman is one of those pop culture icons that has produced A LOT of merchandise. I mean A LOT. And because so much stuff has been produced, inevitably, someone falls asleep at the wheel and certain products are released of questionable value. I’m going to look at a few of these ridiculous pieces of Superman product. Click the images below to go to the web page where I found these little pieces of insanity. Superman Water-Squirting Head – At first glance this seems like a simple kids water pistol in the shape of Superman’s noggin. But if you think about it, the whole thing looks like Superman is spitting at you. Would Superman do something like this? Spit at you? Maybe if you drank White Zinfandel, because that is inexcusable, but not during the normal course of the day would Superman deem it necessary to hurl expectorate at you. He could just melt your head with his heat vision. 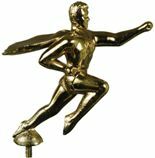 Superman Hood Ornament – Yes, this is a Superman Hood Ornament. A. Hood. Ornament. For your car. Can you imagine pulling into work with this iron monstrosity on your hood? “Bob, I always thought your 1965 Corvette needed something. And I finally figured out what it is, the Superman Hood Ornament. It would really class up that boring old Vette’s hood.” It also can be attached to your bicycle. WHA?! Putting this on a bicycle would be interesting, because a bicycle HAS NO HOOD. Next best place is on your handlebars. Great idea, put a huge sharp metal object right where your face would go if you crash or have to stop suddenly. Niiiiiiiiiiiiiiice. Superman Peanut Butter – I had to include this item in the list. It’s actually pretty well known, and a lot of people ate it. Including me. 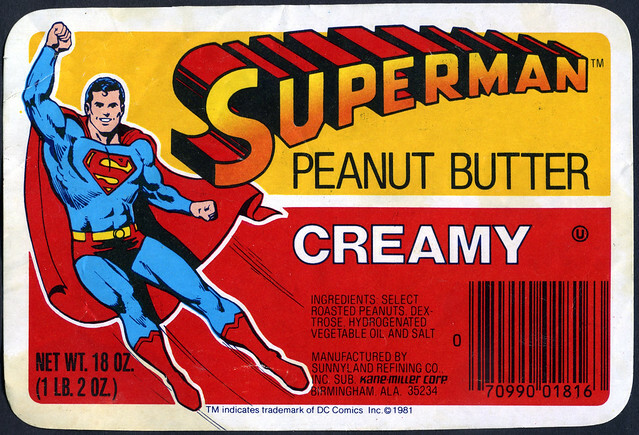 The peanut butter was awesome, it’s just, what the hell does Superman have to do with peanut butter? I mean really? Aside from that, this stuff ROCKED. 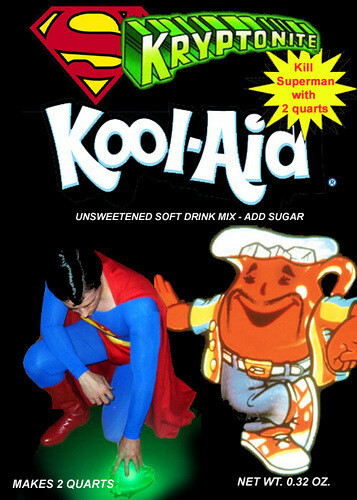 And the final item of today is…..
Kryptonite Kool-Aid – Kill Superman with just 2 quarts!!! Now, this product is not real, obviously, I made it. It’s a part of my crazy Kool-Aid flavors, but it fit in this list so I wanted to add it. Well, I hope you enjoyed today’s entry for Superman Week. Since tomorrow is the national opening day for Superman Returns, I plan on reviewing the original 4 Christopher Reeve Superman movies for Day 3. That’s a big undertaking, so we’ll see how it goes. It’s Superman Week here on the blog. I’m celebrating the release of Superman Returns on Wednesday, June 28. I won’t get to see it until Thursday night, so my review will cap off Superman Week on Friday, but every day this week I’ll try to have a Superman-related article up for your enjoyment. This documentary is exactly what the title implies, it’s a history of Superman as he has appeared in almost every type of media. It begins with his comic origins and covers the myriad of TV shows and movies that “the big blue boy scout” has appeared in. The documentary appeared on A&E, albeit shortened by 30min, and the DVD was released last Tuesday. As soon as I heard about it I put it in my Netflix queue. I got lucky, and the disc was shipped the Monday before it was released and I got it on the Tuesday it was released in stores. My wife and I finally watched it on Sunday morning. Overall, the documentary was very good. It literally covered every aspect of Superman’s appearance in pop culture. The doc started with Superman’s creators, Jerry Siegel & Joe Schuster. It discussed how the idea of Superman evolved, and how every comic book company turned the idea down saying that no one wanted to read about a guy in tights jumping around on buildings (Superman couldn’t fly in his initial incarnation). 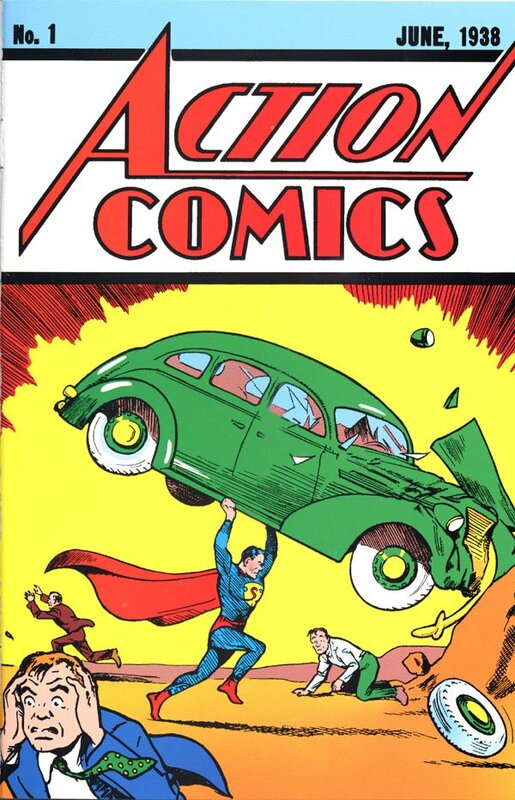 Siegel & Schuster finally got National Publications (DC Comics) to bite on the idea and Superman premiered in Action Comics #1 in 1938. The documentary didn’t just look at Superman’s impact on comics. The movie soon started covering the early serials in the ’50s and the George Reeves TV show. 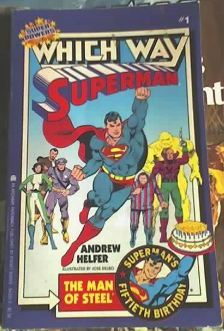 The doc even discussed tv shows like the once broadcast Superman Musical (based on the broadway show) in the ’70s staring Leslie Ann Warren as Lois Lane and David Wilson as Superman and the not broadcast pilot of a show called SuperPup staring midgets in dog costumes. Yes, you read that right (see pic). The documentary is a fascinating look at the emergence of Superman in popular culture. It continues to delve into the people that played Superman, putting particular emphasis on George and Christopher Reeves and the fates that have befallen both men. That was a particularly poignant section for me. Very sweet men who didn’t deserve what fate handed them. The doc, of course, had a nice section on the new movie with some scenes I hadn’t seen before. It definately made me ready to see the movie. I was pumped after watching it. I will be honest though, it felt a little long to me. The doc was 2 hours long and, to me, it felt it. I know they didn’t touch on a lot of stuff they could have, or delve even deeper into other Superman aspects, but even this protracted history felt long. I started losing enthusiasm towards the end, but the doc picks up for the last 20 minutes or so and I was left with an overall good feeling. I would be interested in seeing the A&E version as, like I said earlier, it’s 30 minutes shorter. Also, a lot of the interviewees were nicely picked. Artists, writers, actors, a good mix. They even had Stan “The Man” Lee talking about Superman’s impact. That is cool. Then, Gene mutha-f’n Simmons pops up. Why is Gene Simmons on here? What does he bring to the table? It just said Comic Book Fan in his title card, but if that’s it, they could have asked Shaq or Seinfeld to participate as they are known Superman fans also. That was just a little jarring and wierd for me. Just a little sidenote. Other than those two gripes, I really enjoyed the documentary and recommend it to any Superman fans, and non-fans, out there. It’s a great way to ramp up for the release of Superman Returns on Wednesday. I’ll be back with another Superman related article tomorrow. I’m long overdue for a technology article. This item affected me more than I thought, so I had to write about it. I know this article looks long, but if you stick with me, I have some fun videos and stuff linked at the end. Last week Bill Gates announced his retirement from day-to-day duties at Microsoft. He’s stepping down as Chief Software Architect, but remaining as the company’s Chairman. This will end Bill’s day-to-day running of Microsoft and keep him in the upper executive role. Cutting back on his daily work will allow him to pursue more philanthropic ventures with the charitable foundation he started with his wife. I would have written this article earlier but I had to sit on it for a week to decide how I feel about it. 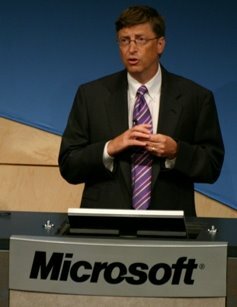 Overall, for Microsoft, I think it might be a good thing that he steps down from overseeing Microsoft’s day-to-day activity as it might open up other creative outlets for the company. With that in mind, I’ll be sad to see him go. I had early exposure to Microsoft and their products. My dad procured a laptop from work in the mid ’80s when it was still rare for anyone to have a personal computer, much less a laptop computer. We had a couple laptops before we even got a desktop computer. I took over playing on the laptop as my dad thought it was cool, but he really just got it for me to play on. Windows was not in full release at this time so the laptop’s operating system was MS-DOS. It did have an early version of Microsoft Works (word processor, spreadsheet and relational database). I was writing school papers on Microsoft Works’ word processor, printing them and turning in typed copies when most students were still hand writing them. Pretty soon, Dad had Windows 3.0 installed on the laptop and it took up so much memory that you couldn’t open anything else. He had several other business laptops after that. I used one with Windows 95 on it until, in my last year of college, he got me my own desktop. At Auburn I majored in Mangement Information Systems and it just made everything easier to have my own computer. I learned so much on that computer. When I was finally interviewing during my last Winter at Auburn, I admit, I put in for an interview with Microsoft. I was not initially accepted, but I could have scheduled one anyway during one of their open slots. I decided not to. I really wanted to go for it, but I also was a little nervous about working for them and moving to Redmond, Washington for the job. I’ve always loved learning new technologies and that led me to IT consulting and application development after graduation. A lot of that desire and love of technology came from playing on those old laptops and my first desktop. And because of that early exposure I’ve always had a soft spot for Microsoft. They weren’t always the world crushing superpower they are now. They were once the plucky upstart. No one thought Windows would work. When Windows 3.1 for Workgroups was released, things started happening and that was the beginning of their ascension. And that ascension was spear-headed by Bill Gates. I am by no means a Microsoft apologizer, nor do I believe that they are evil incarnate. Neither am I an “Apple is God” Mac Addict. I recognize the wonderful technologies both companies have brought to the electronic marketplace, but I also am aware of many missteps by both companies. I grew up on Microsoft Windows and that is why I prefer it. Microsoft revolutionized the PC with it’s operating system. It’s on easily 95% of the computers made today. Windows, overall, is a great operating system. Like I said, I’ve used it since Windows 3.0 back in the ’80s. Microsoft did make some bad decisions with the OS including Microsoft Bob in 98-99 and Windows ME in 2000. Windows has steadily improved since Windows 95, and Windows XP Service Pack 2 is the best Windows ever. I applaud Gates’ achievements and wish him the best of luck. He, undeniably, was the technical vision and focus behind Microsoft’s achievements and that has been what has led them to the forfront of technology. He is a man with an incredible forward thinking mindset and someone who may be misunderstood on the whole. If you get a chance, read his book, The Road Ahead (pictured to the right). I read it in college and his ideas and philosophies on technology and how we will use it in the future are fascinating. I know there are many Mac enthusiasts who bemoan Gates saying he “stole” Apple’s operating system and used it for Microsoft Windows. The operating systems are similar, and Apple may have released theirs first, but Apple did not invent the graphical user interface (GUI). Apple itself took the initial idea of a clickable GUI from the labs at Xerox-PARC. Back in the ’70s Xerox had an R&D lab filled with fringe computer scientists cooking up all these crazy ideas. The clickable GUI was one of them, among numerous other advances that led to the personal computer and Internet as we know it today. Apple took what Xerox-PARC pioneered and modified it to suit their computer systems. Apple does have a spectacular interface that may work smoother and better than Windows, but Windows has to interface with thousands of completely different peripherals and software. Macs can’t work with any software, and because Apple’s system is so locked down, everything works on it smoothly and without incident. Apple definately has a great product, but I stand firmly entrenched in the PC/Microsoft world and look forward to the company’s progress now that “King Bill” has moved on. 5. Bill Gates and Napoleon Dynamite in college – This video was done for a Microsoft Conference. It is HILARIOUS. ‘Ask A Ninja’ Podcasts are Killers! I discovered a podcast on YouTube last week that has me on the floor it is so damn funny. It’s called Ask A Ninja. It’s this guy dressed up in a ninja outfit supposedly answering questions from people about ninjas. It is hilarious. You can go to the podcast’s website here to download/watch all the videos or just watch them all on YouTube here. The Ninja covers topics such as Love, Excuses, The Matrix, Pickup Lines, Ninja Conventions (KillaCon), etc. The guy is so funny and the theme song is addicting. I’ve had it in my head for a week. Check some of them out, I hope they bring you as much enjoyment as they have me.